Shirt depicting what's on many trolls' mind nowadays; fragile in the mind and fragile in feelings. Internet trolls seem to take over getting hurt about the littlest thing. It seems these trolls need a disclaimer written on their shirts in this modern time, time for a chill out with this and conspiracy theories. 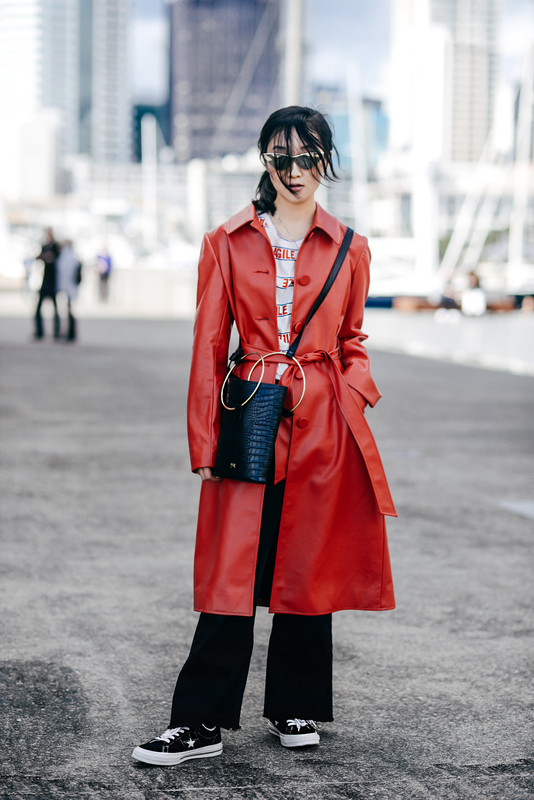 What doesn't need disclaimers are the shoes, the bag, the coat, the pants and the sunglasses - All speaking for itself and saving my feet from themselves. 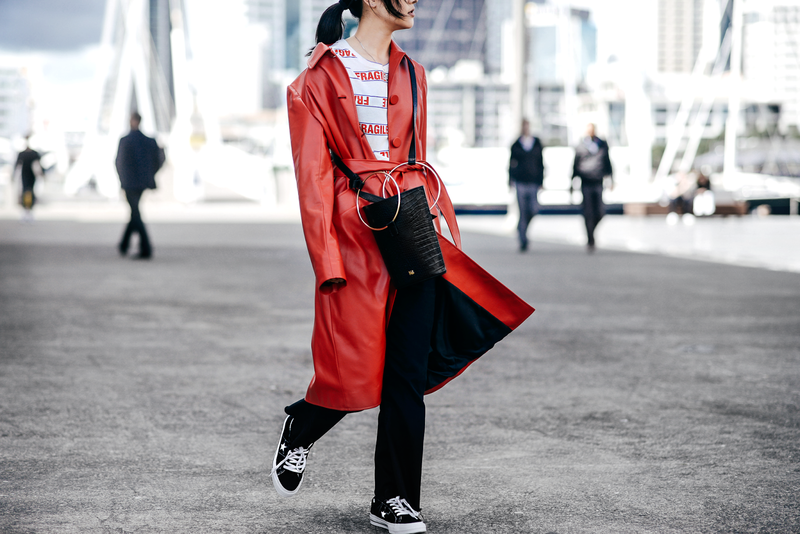 In collaboration with starry eyed Converse blessing in disguise sent to save my feet from standing pain what with waiting hours on end from delays, we bring you street style shots from Day 4 and last day of New Zealand Fashion Week. Note Converse making a comeback; needing some high tops sometime soon. Shot by Andre Kong for Converse and featured on Fashion Quarterly - Again, thank you too the moon.